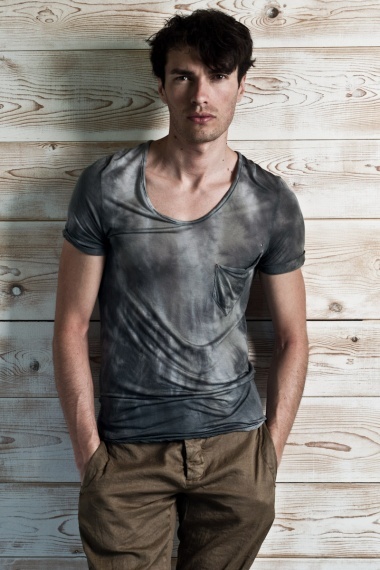 Washed-out t-shirt 100% Modal by Nicolas & Mark - Clothing Men T-shirt On Sale. Black wash-out modal rounded short sleeve t-shirt, natural and traspirant fibre extract from the tree's bark, wide O-neckline, breast pocket asymmetric, single seam in the center back as Nicolas & Mark's style, double edge. Inspiration to psychedelia of Seventies by Nicolas & Mark.